Today, the need of the retail business is to keep right product mix, at right location and at right time ! 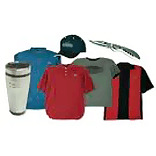 Merchandise Planning has become an indispensable part of the retail business. Today retailers cannot just keep the products but they have to plan how and what should be kept on the shelves and how much. The way the stores are assorted needs to change - to reflect how and where the customer now wants to shop and what they want to spend their money on. Retailers need to focus on the back-end preparations to identify the opportunities to align their offerings with their customers and convert every footfall into sales. In-depth knowledge of the area where the store is located is the mantra. Retailers should identify not only the financial objectives for each product in their assortment, but also the merchandise objectives. “Retailers should understand the customer profile, climatic conditions and the age group to decide on the pricing factor (customer profile), kind of merchandise for the season (climatic seasons) and sizes (age group) to be kept in the store. This is most crucial part of planning for merchandise meeting the local demand,” says Mr Anil Lakhani, MD, Gini & Jony. Customer in metro cities is different from that in the tier II and III cities. Exposed customers have limited time to shop and demands quick service for the product. Stores have to be adept in stock, presentation and services. Providing the entire product range to store is not possible due to factors such as selective cliental, high end customer, limited stock space. Detailed survey is vital to match to the demands of the customer. This increases full price sales and product availability, and ultimately lowers markdown spend. ”We decide according to the customer base in the local area. High price range trousers, we keep in the south Mumbai stores would not be kept in the stores which on S V road,” Mr Lakhani further adds. Effective visual merchandising provides memorable and lasting experience to the customer, e.g. the newly renovated store of Woodland at South Extension has improved sales significantly. Similarly assortment planning which determines what and how much should be carried in a merchandise category, has become an important part of retail business. This trade-off between the breadth and depth of products that a retailer wishes to carry has to be decided by the team of merchandise experts.”We keep at least 2 pieces of each size on the display shelves to meet the demand at the same time. It is more important to pay attention on the depth more than keeping variety and no stock available in time of sale,” opines Mr Lakhani of Gini & Jony. If you are not doing this, you are creating both markdowns and lost sales. Retailers need to keep this flexibility and continuously monitor the profitability and contribution of each product. Retailers need to have a hawk eye to identify the ‘fast moving stock and slow moving stock’ of the particular category to manage the fresh stock for sales. It avoids the situation of lost opportunity and increases sales. Experts in this field keep the track of the SKUs which allow each store to reveal its own patterns and tell the retailer how to best align their SKUs with local demand. In case of slow moving category, before the season is out, quick decision to put the category under schemes or markdown prices prevents taking the stock to the factory outlets. Front runners of the store cannot give a detailed analysis to understand the weak areas. Inter-store transfers, replenishment and monitoring of product performance, forecasting etc are some of the functions of the merchandise experts. Visual Merchandise: An important part in displaying a merchandise. Consumer behavior studies done by our VM team experts have confirmed that after color, the focal points set up with the mannequins display is something that immediately hits the customers after walking inside the store. Color being the most dominating element attracts the customers and impels them to walk toward them. When the mood and theme of such color oriented displays change at regular intervals, it makes certain that the store remains top of mind and fashionably updated. "Graphics play an immense role in building a brand image and differentiating it from its competitors. One of the latest strategies in the VM industry is supporting the graphics by the props which are the imitation of imaginary or non-saleable products. Following the trend, leading players in the industry are playing around with 3 Dimensional windows to give them a more realistic look" says VM expert from Ritu Wears. The façade changes are based on the season, events and the festivals whereas the in-stores changes are done fortnightly. The impact of any display or strategy is measured by reviewing and comparing the walk-ins and the conversions before and after any strategy. · Schemes or inter transfer of slow moving products and excess stocks on regular basis.